Rather than charging by the hour, these results show that accountants believe clients will judge their investment and allocate future budget for accounting services based on the actual value that's delivered. Equally, business owners will demand new ways of working – using Skype, virtual CFOs, monthly reports, rolling forecasts and more. For the UK's vast small business community, this shift of emphasis in the critical areas of finance and value-driven advisory services can only be good news. Rather than waiting for year end, cloud software empowers even the smallest microbusiness to exercise greater financial control and stay up-to-date with their accounts. Meanwhile, adopting a single ledger model, accountants and their clients no longer have to transfer client data into desktop software systems, but will benefit from shared access to up-to-date finance data in the cloud. Already, this shared platform approach, or 'single ledger,' has proven itself, especially in terms of efficiency gains and overtaking the static desktop business model of old. A backdrop to this shift is bigger changes across small business and consumer technologies. 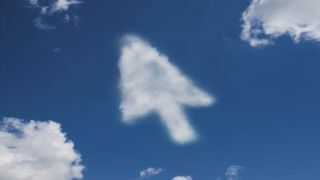 We're all familiar with the consumer-visible cloud services from Facebook to Google Docs to Expedia. Now all sorts of services are moving to the cloud, or already using it extensively. New services and features are also being invented that unlock the power of the internet for the small business user. As such, businesses based on or using the cloud are avoiding major IT integration costs and proving nimble, disruptive and highly scalable. So what's next? In the online accounting space, current trends suggest that the future of cloud finance will be all about going beyond accounting software and the rigid parameters dictated by the old desktop paradigm. The next impending development will be to enable businesses to make direct payments to bank accounts from within the accounting software. And there's a whole lot more that the techies are working on behind the scenes. However, these changes are about so much more than technology: in the small business community, the fundamental shift towards value-driven service will, without doubt, continue to transform the way accountants operate, significantly benefiting the business community they serve. Gary Turner is a 20-year veteran of the UK's accounting software industry joining Xero from Microsoft where he was Product Group Director for Microsoft Dynamics.He has sat on the IT Faculty Technical Committee of the Institute of Chartered Accountants of England and Wales since 2005.